Merit, Chicago's newest vampire, is learning how to play nicely with others. Other supernaturals, that is. 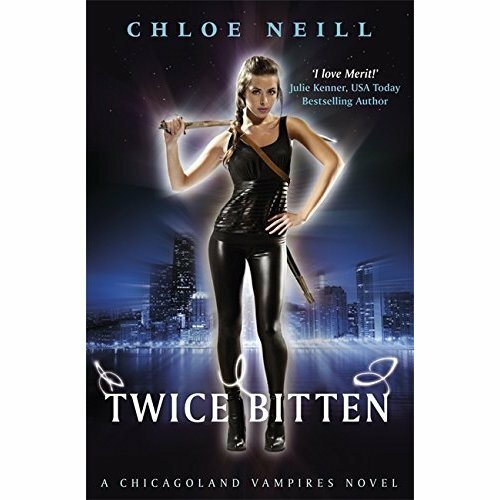 Shapeshifters from across the country are convening in the Windy City, and as a gesture of peace, Master Vampire Ethan Sullivan has offered their leader a very special bodyguard: Merit. Merit is supposed to protect the Alpha, Gabriel Keene - and to spy for the vamps while she's at it. Oh, and luckily Ethan's offering some steamy, one-on-one combat training sessions to help her prepare for the mission. Merit has to accept the assignment, even though she knows that she'll probably regret it. And she's not wrong. Someone is gunning for Gabriel Keene, and Merit soon finds herself in the line of fire. She'll need all the help she can get to track down the would-be assassin, but everywhere she turns, there are rising tensions between supernaturals - not least between her and a certain green-eyed, centuries old master vampire.